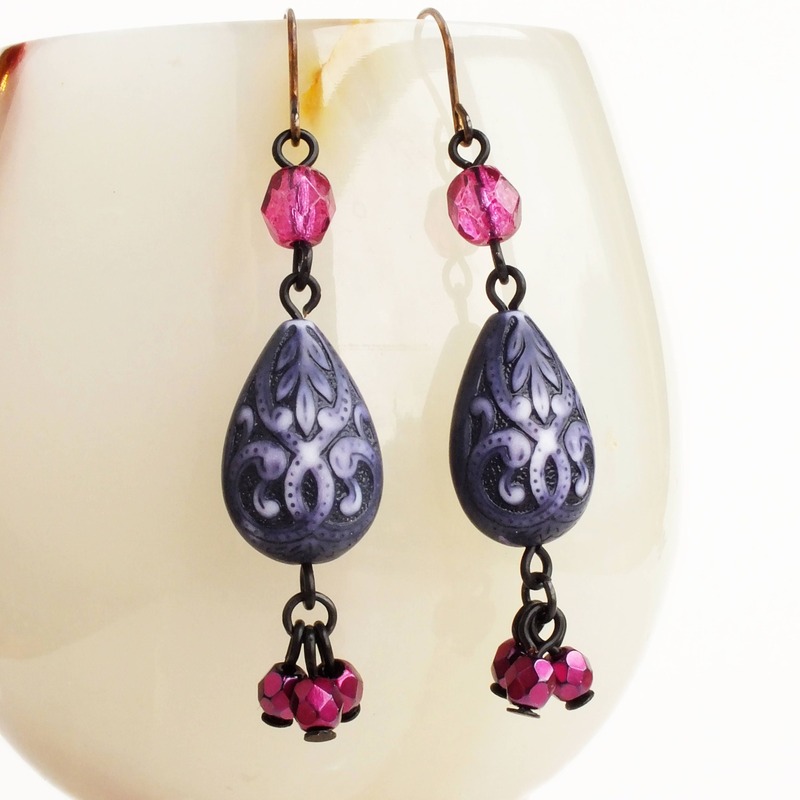 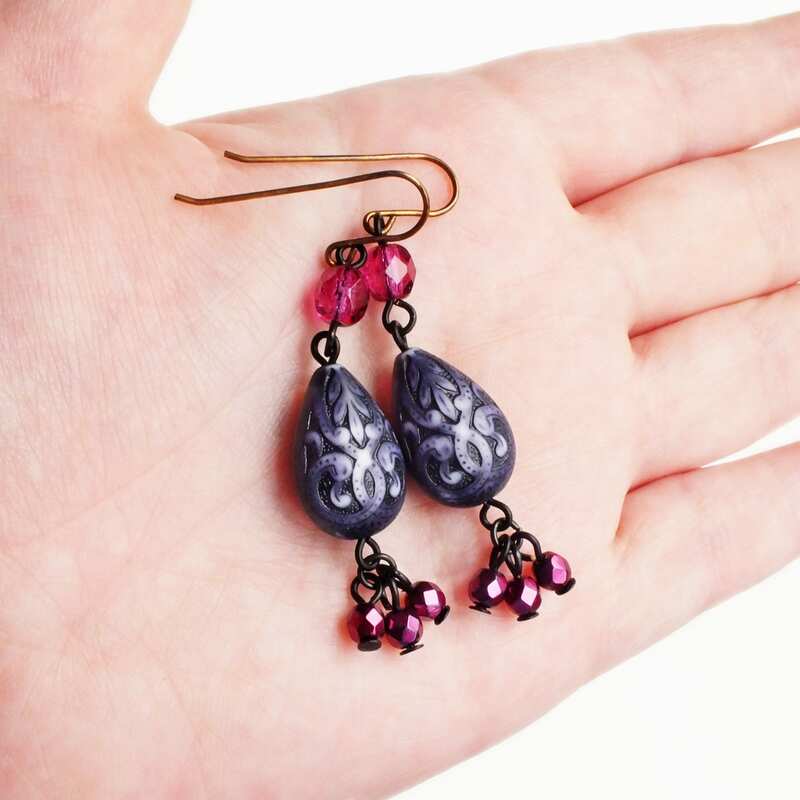 Handmade beaded purple carved drop earrings with beaded dangles of ornate vintage purple beads..
beads made in the USA. 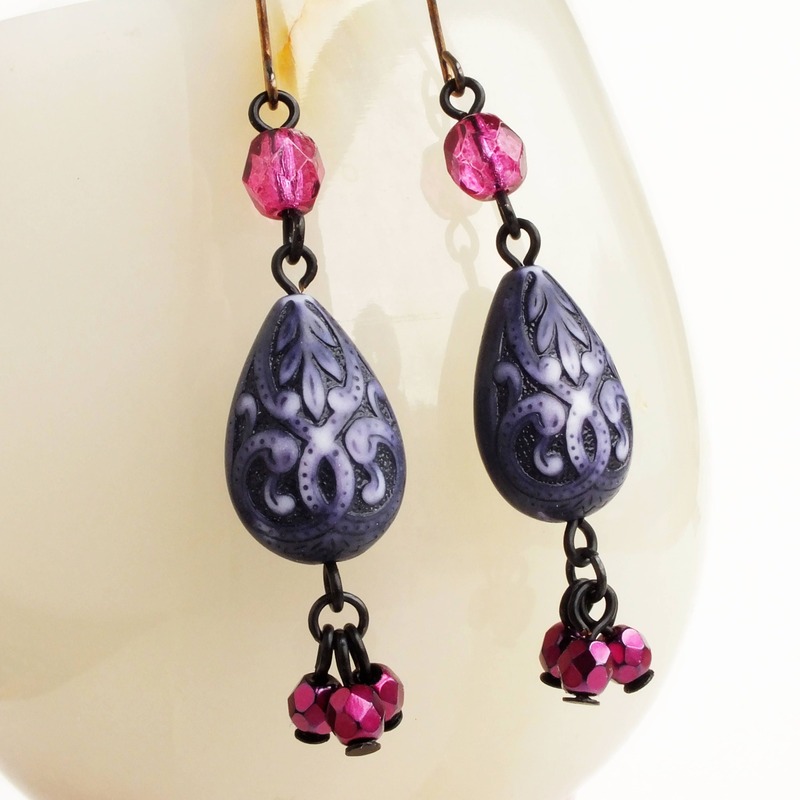 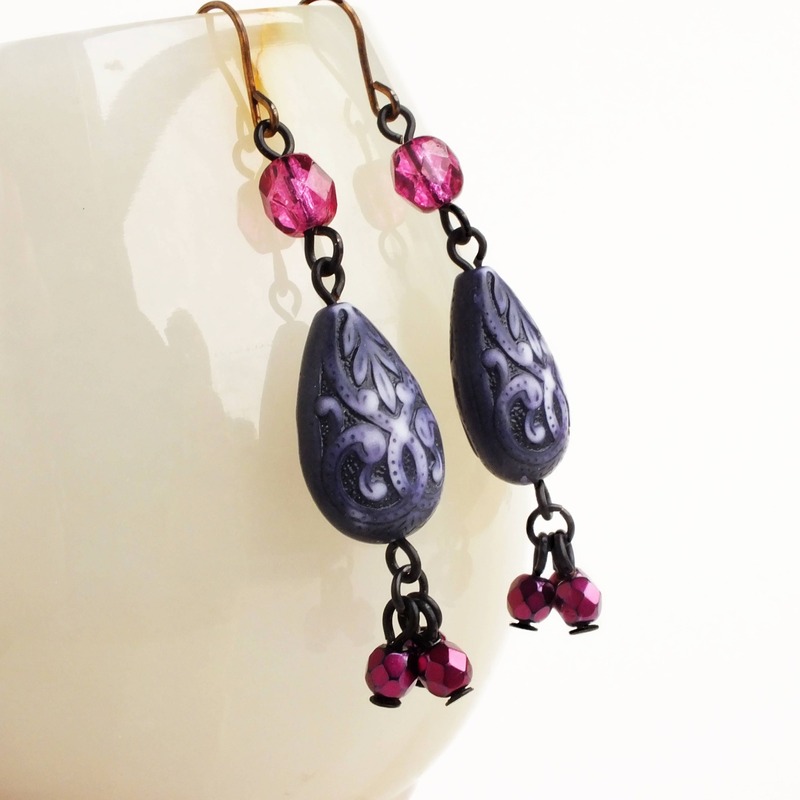 Ornate beaded dangles made with genuine vintage violet Lucite beads etched with Victorian style details. 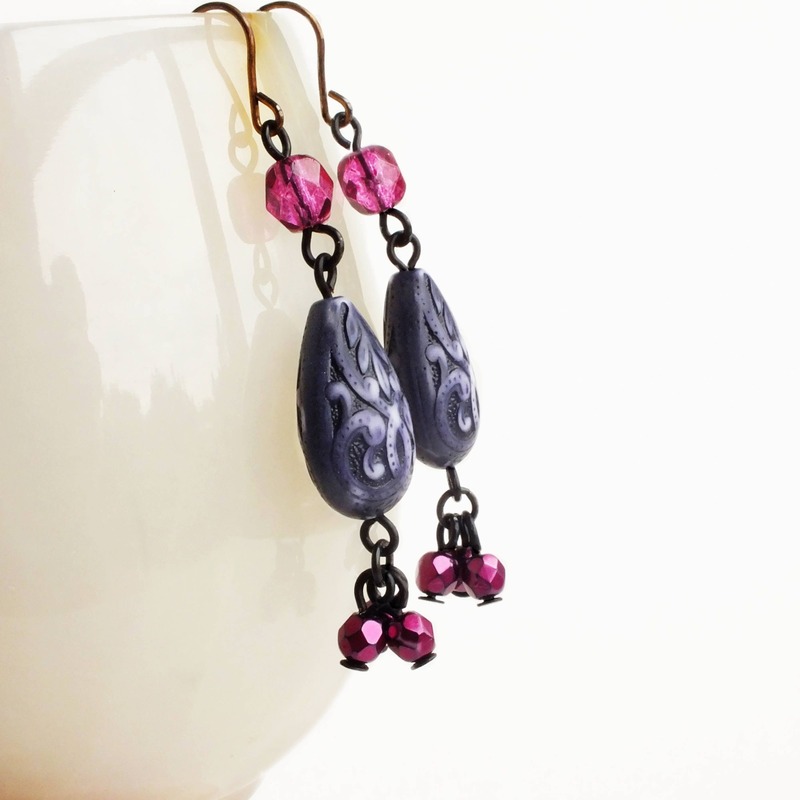 Adorned with clear fuchsia pink and metallic magenta Czech glass beads.